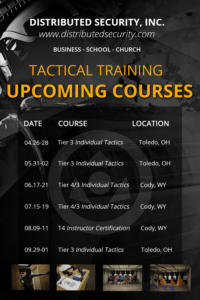 via Peshawar Teachers Receive Guns, Training After Taliban School Attack – Breitbart. via European Police Face Being Outgunned By Jihadis with Assault Rifles | TIME. » Davos Economist: Elite Are Afraid of Ferguson-Style Riots Alex Jones’ Infowars: There’s a war on for your mind! Johnson’s view that the global elite are afraid of riots arising out of wealth inequality is shared by other economists such as Martin Armstrong,who last year predicted that widespread civil unrest would hit America by 2016 as a result of an economic downturn. via » Davos Economist: Elite Are Afraid of Ferguson-Style Riots Alex Jones’ Infowars: There’s a war on for your mind!. As many as 50 people were in and around the small home when shots were fired “by multiple shooters” around 2 a.m., Omaha Police Chief Todd Schmaderer said. No arrests have been made, and police said they were confident the shootings were gang-related. via Police: Third person dies after shooting at Nebraska party – Yahoo News. It’s an unsettling message about violent crime in the Big Easy for the 1 million revelers about to descend for Carnival season, which this year ends on Feb. 17, Fat Tuesday. via WWL – AM870 | FM105.3 | News | Talk | Sports – Associated Press: Police Shortage Is A Security Risk For Mardi Gras. via Is the Britain—or America—of 2015 Capable of Producing Another Churchill? | Ed Driscoll. The profiles of the three attackers — Amedy Coulibaly and the brothers Chérif and Saïd Kouachi — are an indictment of the decades-long failure of France to address long-festering alienation and exclusion among too many Muslim immigrants and their French-born children. via Paris Attacks Lay Bare Longtime Muslim Exclusion – NYTimes.com. And the commission believes it’s the guns – not the people – that are to blame. via Report: School shooting commission to propose ‘gun ban’ – EAGnews.org. The recent Charlie Hebdo attacks in France have led to some interesting reactions further demonstrating our position on private security as a means for defending home, business, church, school and community. We hereby ask that gun licensing laws are reviewed with immediate effect to allow designated people in the Jewish communities and institutions to own weapons for the essential protection of their communities, as well as receiving the necessary training to protect their members from potential terror attacks. The large and dramatic attack that authorities in Chicago and other big cities feared for years is being replaced by a new threat, the smaller, street-level terror strikes by a few local recruits… It’s known as “retail terrorism,” the opposite of what al Qaeda did on 9/11. No longer in vogue are the large scale attacks that take years to plan and millions of dollars to execute. [The police] are not doing enough, for sure. We just need more. The best solution is having at least two police officers at each Jewish institution, 24 hours a day. Until that happens we need to be able to feel secure in other way. Chicago and the EU have highly-restrictive gun laws that essentially eliminate the ability of individuals to effectively defend their home, business, church, school and community. And both Chicago and the EU do not possess the manpower or budgets to provide blanket security. So what is the solution? Private security networks. 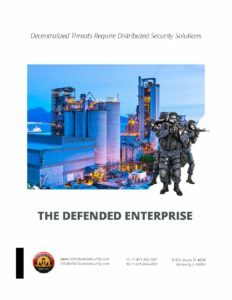 Email me (strategist at pulsefirearmstraining.com) if you’d like a PDF copy of our briefing on building a private security network. U.S. Secretary of State John Kerry visited Paris Friday in what was billed as a show of solidarity with the French people after terrorists attacked last week. The former Massachusetts senator brought fellow Bay Stater and singer-songwriter James Taylor to sing a slightly off-key rendition of “You’ve Got a Friend” to a Parisian audience. via Kerry Brings James Taylor to Serenade French With ‘You’ve Got a Friend’ | The Weekly Standard. That message has struck a chord in Germany. A survey conducted last month found that 30% of respondents had “full and total” sympathy for Pegida’s cause, the same level of support that Merkel’s political party got in the German elections to the European Parliament last year. via Meet the German Activist Leading the Movement Against ‘Islamization’ | TIME. via Europe’s Leading Rabbi: Jews Must Begin Carrying Guns | Washington Free Beacon. via Charlie Hebdo Shooting Sim Shows More Than One Gun Is Needed – The Truth About Guns. These acts do less damage and kill fewer people than large-scale attacks, but they inspire significant fear and create high-profile propaganda that helps recruitment and fund-raising for affiliated extremist groups. Media-conscious militants now often wear GoPro cameras to create high-quality videos that can be shown online. via Europe Focuses on Emerging Threats From Smaller Crews of Terrorists – NYTimes.com. It’s known as “retail terrorism,” the opposite of what al Qaeda did on 9/11. No longer in vogue are the large scale attacks that take years to plan and millions of dollars to execute. via Large attacks replaced by street-level terror strikes | abc7chicago.com. Some American newspapers, including The New York Times, did not reproduce the Charlie Hedbo cartoons that mocked Islam. The Times called the decision an editorial judgment that reflected its standards for content that is deemed offensive and gratuitous. via Charlie Hebdo’s Defiant Muhammad Cover Fuels Debate on Free Speech – NYTimes.com. via ‘Young, Gifted & Black Coalition’ Issues Demands in Open Letter to Police Chief. They Got This Reply. | TheBlaze.com. Charlie Hebdo had faced repeated threats for depictions of the prophet, and its editor and his police bodyguard were the first to die. via France terror attacks: Tearful cartoonist explains new Charlie Hebdo cover – CBS News. via Why the Coming Pension Bomb Will Destroy Your City and State | PJ Tatler. Nationalist and populist movements are surging across the region, most notably in France, where the National Front — a party once linked to former Nazi collaborators — has become the nation’s third-largest political force. Yet now it appears that the far right sees an opening in the new atmosphere of angst that could help bolster its long-standing critiques of Islam and calls for tighter security and immigration caps. via Far right in Europe sees opportunity after wave of terror in France – The Washington Post.